When you start feeling those first hints of winter, the instinct to get ready kicks in. You may dig out your car’s snow brush, blanket, shovel and winter survival kit and place them in the trunk of your car. The winter coats and boots come out of storage, and you may pick up some extra mittens at the store. We do these things to protect ourselves from the cold when we’re out and about. But what do you do to protect your house against the hazards of winter? If you don’t take time for maintenance and winterization now, you can end up paying for it later, whether it’s in the form of higher energy bills, frozen pipes or fixing a broken furnace. Do your electric bills rise during the wintertime? Heating your home accounts for about half of your home’s energy bills, according to the U.S. Department of Energy. 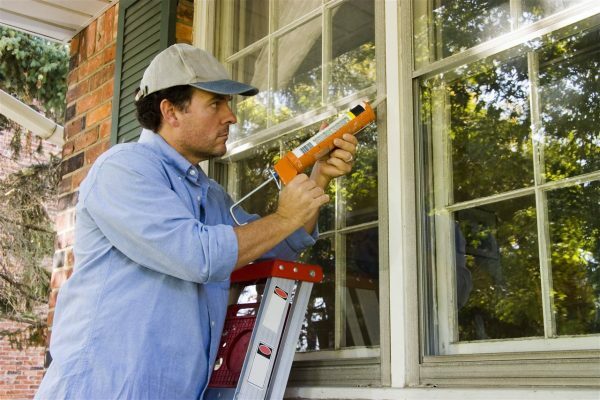 Combat the cold by sealing off any cracks or gaps with caulk and inspect entrances for worn or broken weatherstripping. Schedule a furnace inspection tuneup with an HVAC contractor and consider installing a smarter thermostat. Learning thermostats, such as Nest, can remember your favorite temperatures, turning itself down when you leave for work, as well as returning to your favorite temp at the end of the day. We take our pipes for granted, but we don’t always anticipate what can go wrong when we’re not home. According to the Insurance Information Institute, water damage accounts for half of all property damage claims. Add winter’s freezing temperatures to the mix, and you can end up with a big problem if your home has a power outage or your furnace malfunctions. 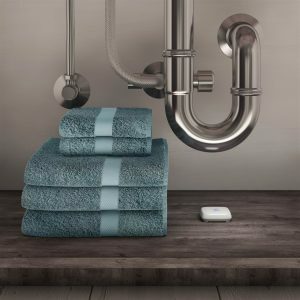 For extra peace of mind, there’s now a leak and flood protection system you can purchase that shuts off your water main’s supply when it detects leaks — and sends an alert right to your smart device. LeakSmart installs directly to your home’s main water supply, and wireless sensors placed around the house can detect a leak or temperature changes and shut down the whole house water supply within five seconds. And when the LeakSmart Hub is powered by a battery back-up, the system will still work if the power and internet go out, so you don’t have to worry about coming home to water damage. The system can work on its own or be integrated with smart home systems. If you’re interested in learning more about how this smart device can protect your home, visit LeakSmart.com. When a winter storm hits, the ice and wind can break power lines and interrupt the supply of electricity to our homes. It’s not uncommon for some outages to last for days, which is why it’s always smart to be prepared. Another thing to watch for in the winter are pools of water forming on your roof. These can be caused by ridges of snow and ice, and eventually cause leaks to the interior of your home. Ice dams can also lead to the formation of large, pointy icicles that hang from the gutters, which can fall and injure people. Now that you know the most common winter hazards that can hit home, you can take the steps to protect your investment and keep your family comfortable and safe. When in doubt, schedule an inspection to the home inspection company near you.